My son gets it. The power and beauty of letters. 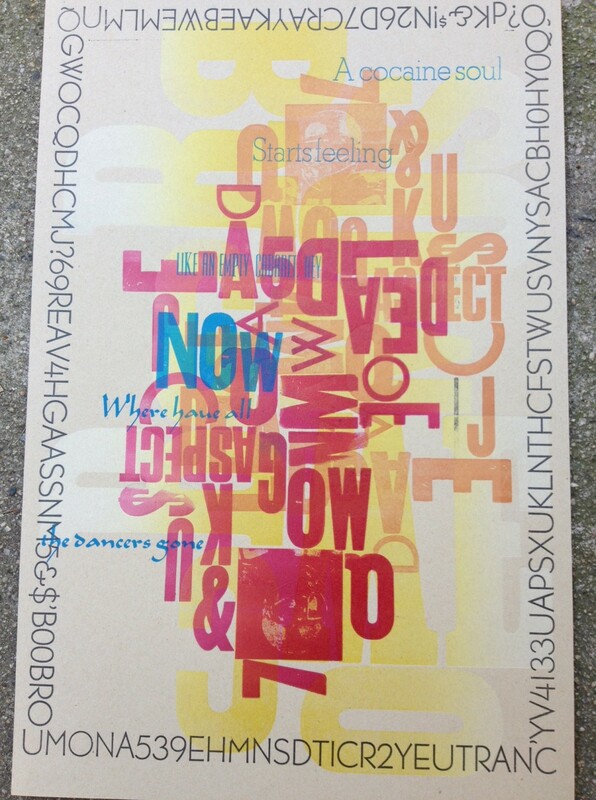 He used letterpress and song lyrics to make this print. I see something new every time I look at it and I’ve looked at it a lot. This post brought to you by the Proud Mom Society (a rather large organization) and the Weekly Photo Challenge topic: Letters.